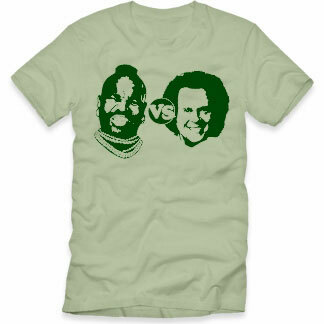 What other T-shirts pitting infomercial personalities against each other can be devised? Vince Offer vs. Billy Mays? Klee Irwin vs. Danny Vierra?